"The ICC will not make any further comment on this matter." Faced with the alarming possibility that members of his squadron might work out what's going on during their escalatingly dangerous campaign, Colonel Korn in Catch-22 announces a new rule: henceforward the only personnel empowered to ask questions will be those who don't. Pretty soon he is able to discontinue information briefings altogether, it being "neither possible nor necessary to educate people who never question anything". Something similar has historically applied to the governance of cricket, an arena in which debate has been curtailed quite quickly because of a combination of lack of curiosity and of opportunity. Giles Clarke of the ECB summarises the position rather nicely in the new film Death of a Gentleman by commenting that nobody is interested in cricket administration and "nor should they be". That's not self-deprecation; Clarke is hardly the self-deprecating type. His purpose is to deflect the young film-makers, Sam Collins and Jarrod Kimber: they are "making a mistake" by asking questions; move along, nothing to see here. Because they declined to take this for an answer, the result is the best film about cricket administration ever made - the best film because it is the only film. And, pace Clarke, they have actually made it interesting. Disclaimer alert: I know Sam and Jarrod, appear in their film, and even kicked a few bucks in. Death of a Gentleman will not bring the establishment to its knees. It is a little diffuse and rambling, longer on impression and feeling than detail and disclosure. But, again, it is an interesting film about cricket administration - words never previously grouped in the same sentence. Nerdy stuff? Undoubtedly. But the film-makers were in the right place at the right time. As they began, the ICC stood on the brink of a new direction in its governance, following a review commissioned by a former British chief justice, Lord Woolf, who urged its refurbishment as a full-fledged global administrator. As they concluded, that review was rejected in favour of shrinking the ICC to a member-driven service provider, event organiser and exchequer led by its three largest members: the BCCI, CA and the ECB, otherwise known as the "Big Three". Reviews are often diluted and adulterated; sometimes they are even ignored altogether; rarely do their recommendations precipitate the exact opposite. In this companion piece to Death of a Gentleman, I'd like to explore why. For most of its history, cricket has not been a rich sport. Its administration has been the preserve of men of middling talent and limited ambition, serving usually in honorary capacities and concerned chiefly to inure cricket against change rather than to enact it. There is a story, perhaps apocryphal, of the MCC squire Gubby Allen complaining to his friend John Warr: "Had I devoted to my career in The City the time I have devoted to cricket, I would be a millionaire many times over." Replied the droll Warr: "And just think how much better off English cricket would have been." Perhaps this tradition owes something to a vestigial Corinthian spirit; perhaps it is simply that the game could afford no better. Whatever the case, it has had a variety of cultural impacts on cricket governance. Democratic principles apply only loosely, systems for election and/or government appointment varying from place to place, strongly weighted to incumbents, with authority heavily vested in those at the heads of boards. There is little tradition of executive power. The biggest of all the world's cricket bodies, the BCCI, still has a president, a treasurer and a secretary, just like a giant club. Clarke, the ECB's president, still affects a certain noblesse oblige: "We perform these roles unpaid, don't forget, and they are very time-consuming, because we love the game, we are interested in the game, we care about it." The ICC's chief executive, David Richardson, meanwhile, has the air of a long-suffering club secretary, preoccupied with the covers and the tea urn. For another thing, national cricket structures have tended to be pyramidal - club representatives participating in the decisions of local associations, local association representatives participating in the decisions of state, provincial and county associations, and the representatives of these forming national boards. Potential conflicts of interest? Inherent, manifold and dependent on a variety of checks and balances, and an environment of trust and reciprocity. And over time, the game's generally modest means have prevented it coming to too much harm. Anyway, while cricket has changed unrecognisably in the last decade, the foregoing goes on applying to its administration: here are self-constituting monopolies enjoying tax privileges and light-touch regulation run by independently wealthy middle-aged men, now handling much larger sums of money than of yore but with a similar indifference to transparency, now overlaid with a partiality to "confidentiality" as a standard condition of modern business. 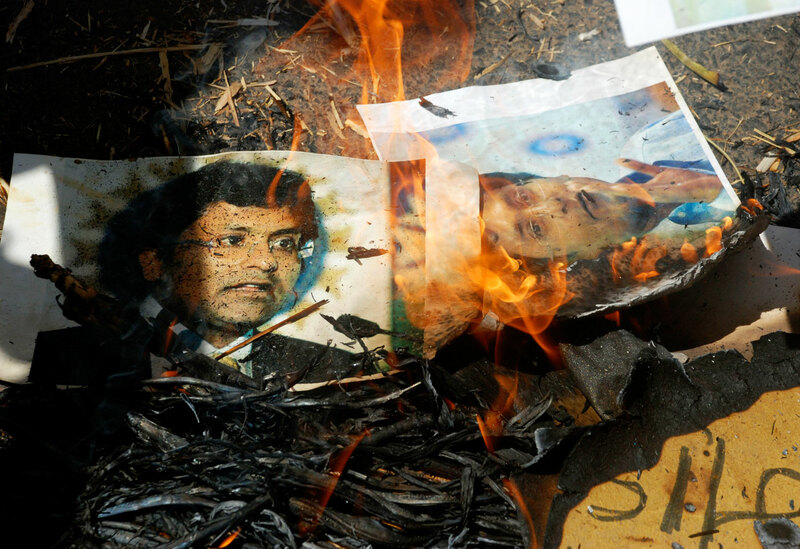 The cabinet papers of governments are more freely available than the minutes of the ICC. The annual reports of the Illuminati would be more informative than most comparable documents published by Full Member boards. There are no external ombudsmen or whistle-blower protections. There is little media scrutiny. Just think about that for a moment. Monopoly powers. Negligible oversight. Individuals with great authority but limited accountability. Monotony of age and gender. Poor standards of disclosure. And what did they change? Well, lots of things, but none of the foregoing. The salient feature of the ICC, meanwhile, is that for much of its history it has barely existed. It was mooted almost 110 years ago by Abe Bailey - one of Cecil Rhodes' Randlords - as an "Imperial Board of Control". Yet if South Africans were keen, England and Australia were far less so. They participated in its first global event, the 1912 Triangular Tournament, and probably weren't completely displeased by its failure. The notion of an overarching world governance system persisted only as the Imperial Cricket Conference, which was what it said on the label: an annual jolly hosted at Lord's by the MCC, whose president and secretary served as conference chairman and secretary. The boards of West Indies, New Zealand, India and Pakistan were welcomed, but cautiously: the original trio consolidated their influence at the 1958 meeting by becoming "foundation members", from two of whom support would be necessary for any binding motion. The Anglo-Australian axis was then reinforced three years later when the South Africans lost their status on leaving the Commonwealth. The Imperial Cricket Conference became "International" in 1965 on accepting its first "Associate members" from beyond the pink spaces on the world map: Ceylon, Fiji and USA, joined a year later by Denmark, Bermuda, East Africa and the Netherlands. But it remained a meeting rather than an organisation - a meeting, moreover, at which little was determined because little had to be. With the prestige attaching to the big tours, most arrangements could be concluded bilaterally. That began to alter 40 years ago under two influences: the advent of the World Cup, which required a greater degree of member cooperation; and the political maturation of cricket's national constituents, notably thawing relations in the subcontinent. There wasn't much money to fuss over; but there was politics, specifically the issue of South Africa. The administrations of England and Australia tried keeping the door ajar for their erstwhile foundation member; the rest of the cricket world insisted otherwise. It's arguable that England and Australia sacrificed a good deal of moral authority in the process. You might also see a parallel between the explicit apartheid of South Africa and the subtle apartheid of the ICC in which all were equal but the foundation members more equal than others. When the conference convened at Lord's in June 1984, the two influences combined like a thunderclap. The BCCI, personified by its savvy treasurer Jagmohan Dalmiya, a Marwari construction magnate from Calcutta, mooted a joint India-Pakistan bid for the World Cup almost twice as financially enticing as the English counterproposal. When the rights of foundation members were raised, the West Indies Cricket Board of Control (WICB), represented by former Test batsman turned lawyer Allan Rae, argued for their repeal, and for the reconstitution of the conference as a full-fledged governance body with a secretariat independent of the MCC. This emergence of the restyled "International Cricket Council" took time - back then, unlike today, things did. A working party took 21 meetings over 15 months to conclude that the ICC's role and methods were "dangerously outdated"; the foundation-member status of England and Australia was not abolished until July 1992; not for a further five years would the ICC become an incorporated body. 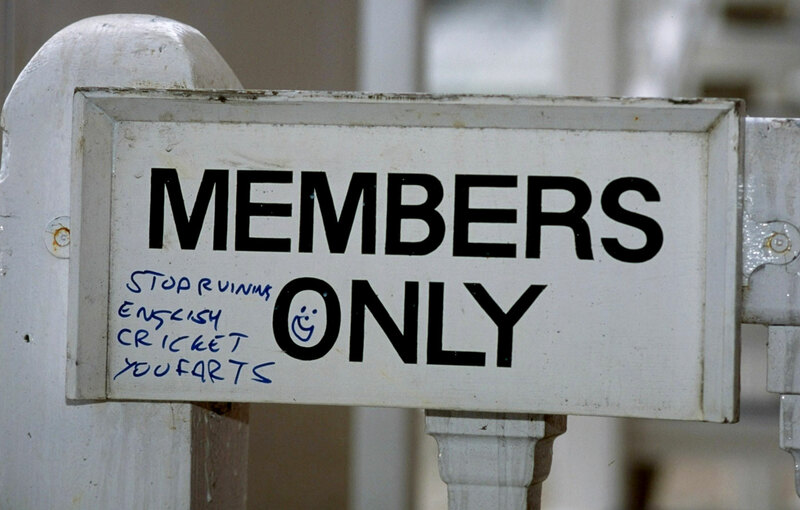 The first chairman not also MCC president was an English toff, Lord Colin Cowdrey; the first chief executive not also MCC secretary was an Australian bureaucrat, David Richards; the council premises remained at Lord's. But the trend towards the exercise of power by the will of the collective was irreversible, starting with the eternal hot-button issues of umpiring and on-field etiquette, addressed by means of an International Umpiring Panel and a Code of Conduct. It made possible the reassimilation of South Africa by common consent too. What it also made possible was the advance of Dalmiya. In 1996 he oversaw a second World Cup on the subcontinent, and by the standards of previous events, wildly lucrative. It became his election campaign for running the ICC. Procedural wrangling roiled more than a year but ended with his election to the new role of president of a new body called the executive board, composed of the Full Member chairmen. This presidency was conceived of as rotating every three years. It was a very timely appointment, as former BCCI secretary Jaywant Lele recounts in his memoirs. I was taken aback but I preferred to speak to Dalmiya before remitting the amount, as he had taken over as ICC chairman a month before. He too was shocked… After talking to David, Dalmiya learnt about the ICC's state of affairs and that apart from the affiliation fees received from member boards, they had hardly any income!" Dalmiya had not come to power at the ICC for it to be a cipher: none did more to give it the financial wherewithal to complement its new remit. At the executive board he cut a dynamic figure. "He seemed to have an inbuilt calculator in his head, which led to a stream of figures and calculations being quoted in seconds, long before anyone could even grasp their initial impact," noted Shaharyar Khan of the PCB. The calculator was first turned to a bright and breezy one-day tournament, the Champions Trophy (originally the ICC Knockout), a sort of whip-round for cricket: with the sale of broadcast rights to Doordarshan, and Wills sponsorship, it raised a heady £10 million (approximately $16.7 million then). There followed three events that further equalised cricket's set of power relations. The first was the ICC's setting up of a commercial arm, ICC Development International (IDI), which sold rights for the 2003 and 2007 World Cups to Global Cricket Corporation (GCC), a consortium underwritten by Rupert Murdoch's News Corporation, for a minimum guaranteed $550 million; the second was the Future Tours Programme, a rolling schedule, mooted by New Zealand Cricket, committing the Full Members to a minimum number of home and away series against each other; the third, explicitly mandated by Dalmiya, was a commitment to spreading the game, including the holding of the Champions Trophy first in Bangladesh and Kenya, a doubling of the number of Associate members and the intake of 30 new Affiliate members. All had their complications but, philosophically speaking, they accented an even spread of cricket's new wealth. How was this degree of cooperation possible? Cricket, as yet, had no hyperpowers on or off the field: West Indies were in decline after their reign; Australia were not yet securely enthroned in theirs. India was emerging as an economic growth area but still felt most secure acting in collaboration with its Asian neighbours, with whom relations were thawing. There were, too, troubling issues requiring collective solutions: dubious bowling actions, player misbehaviour, and above all, match-fixing. Cricket's first anti-corruption commissioner, Lord Condon, a former Metropolitan Police chief, said that cricket lacked "an infrastructure to meet the financial and governance requirements of the modern game". Richards' successor at the ICC, Malcolm Speed, the Australian, hurried to make good deficiencies by bolstering a full-time staff at ICC and IDI, who in due course were split for tax reasons between the improbable locations of Dubai and Monaco. Condon also expressed concern about the conflicts of interest embedded in the ICC - that its directors were also actors in their local cricket economies, chiefly in broadcasting and gaming. "The ICC has tried to address 'conflict of interest' issues for those who serve on the Executive Board of the ICC," he wrote. "The matter has not been resolved satisfactorily and needs to be revisited… The ICC should review its policies and issue clear guidelines on 'conflict of interest' issues." As a result, the ICC instituted its first Code of Ethics, which bound directors to "at all times serve the interests of the ICC and the sport of cricket as a whole". But that, of course, was easier said than done because ever more powerful interests were making themselves felt. For so long a sleepy gerontocracy, the BCCI was now fast becoming a locus of political and commercial power. The simple fact is that cricket in India was a means of access to aspirational voters and acquisitive consumers in a country full of them. The opportunity to savour India's new clout was also tempting. This began to cause frictions with the ICC almost as soon as Dalmiya stood down as president, and resumed in office at the BCCI. There was Dennessgate in 2001; there was the Mohali Test in which India threatened to take the field with a suspended player the following month; there was the 2003 World Cup, where the BCCI refused to sign the Participating Nations Agreement because it protected ICC sponsors to the disadvantage of Indian sponsors, which left the ICC having to settle its way out of a $60 million lawsuit from GCC. The BCCI's growing political character was attested in November 2005 as Sharad Pawar, a leader in the governing national coalition who had colonised the Maharashtra Cricket Association, usurped Dalmiya. He came to the fore even as the BCCI staged its biggest commercial coup, selling its broadcast rights for more than $600 million. Emboldened, the BCCI threatened to quit the 2006 Champions Trophy, and to abandon the second FTP unless its demands were met for India to play against Australia, England and Pakistan on shorter cycles. It had barely to lift a finger to win the hosting rights to the 2011 World Cup. The cricket world was now hearing almost daily of the BCCI's mercurial new vice-president Lalit Modi, and also every so often of its shrewd new treasurer N Srinivasan. None of which enters into Death of a Gentleman, of course, because it is a documentary not an encyclopedia. The absence merely prevents you savouring a few ironies, such as that it was the BCCI that first demanded a credible, effective and satisfactorily resourced ICC, rather against the wishes of counterparts in England and Australia. But what is worth noting is the change in the nature of power. 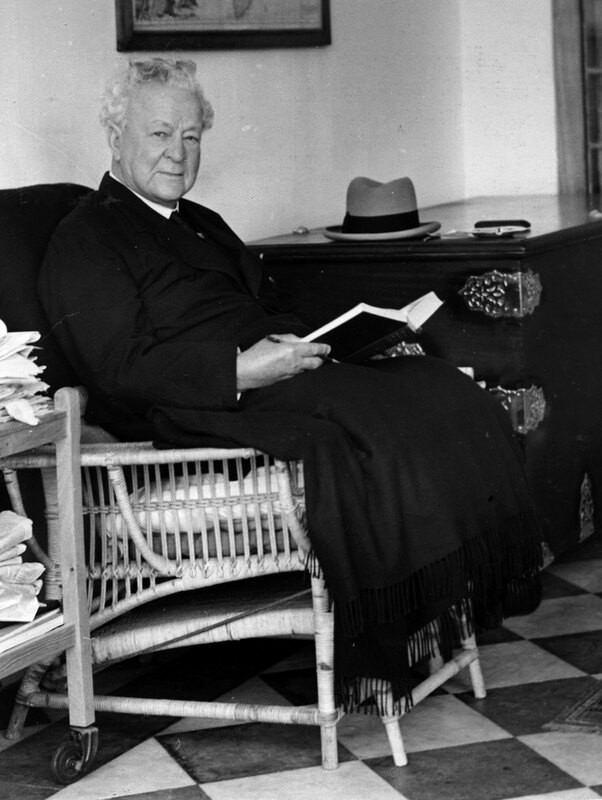 The Anglo-Australian hegemony had been preserved only constitutionally; the Indian ascendancy required no statutory underpinning, yet was swiftly understood by all. Where countries in the '80s and '90s had solicited visits from West Indies and Australia because they brought excitement, countries in the noughties wanted tours from India because they brought money. The opposite was also true. When India tumbled from the 2007 World Cup at the preliminary stages, the ICC faced reeling broadcasters and advertisers. When India threatened to stomp home from their 2007-08 tour to Australia, the ICC hurriedly jettisoned an umpire, fudged its code and muddled a compromise. For the ICC, it was a decade of two steps forward and three back. It moved into new headquarters in Dubai Sports City, emblazoned with an eye-catching logo. It significantly strengthened its commitment to competition among Associate members with a new tournament, the World Cricket League; it endowed prizes through the ICC Awards; it assumed responsibility for the Women's World Cup. IDI sold ICC's commercial rights for two World Cups, two Champions Trophies and two World T20s to ESPN STAR Sports for a quantum twice the size of the previous deal. Yet the ICC's governance remained in a state of arrested development. The council did not appoint its own directors: its executive board was composed of whoever was sent by the Full Members. These directors had no specific mandate to fulfil, no targets to reach, no standards of transparency to meet: when Speed tried to look into the busted-arse finances of Zimbabwe Cricket, he lost his job. They had little incentive to improve relative to one another: they were guaranteed a minimum number of fixtures under the FTP and a place in the World Cup regardless. They had a very real disincentive to add to their number: it would dilute their share of the boodle. The ICC's greatest challenge, however, arose in April 2008 when its biggest and most restive member also became effectively its foremost rival. With the advent of Modi's Indian Premier League, cricket gained a whole new city-based, privately owned, supranational layer of competition, over which the ICC and its Full Members had negligible influence. But it had influence over the ICC and its Full Members. Death of a Gentleman presents the rise of the IPL in glorious, vivid colour as Sam and Jarrod sit starry-eyed in a heaving crowd in Mumbai. They meet Modi ("I love the IPL. I created it"). They interview two of its luminaries, Kevin Pietersen ("At the end of the day you only play this game for a short while, so you've got to maximise your opportunities") and Chris Gayle ("We have been branded as that set of players going after the money, but you have to face reality in life"). They encounter the CEO of the Federation of International Cricketers' Associations (FICA), Tim May ("We know the players will go where the money is"). And they talk, in due course, to cricket's two most powerful cricket administrators, Sam to the ECB's Clarke, Jarrod to the BCCI's Srinivasan. The results are strangely fascinating. The IPL turned the world topsy-turvy. Before it, the word "domestic" had always had connotations of the old, the quaint, the necessary but narrow. With it, the economies of the ICC's Full Members were changed at a stroke. At the simplest level there were now nearly three months of the year in which it was barely possible to schedule international cricket, and during which India were certainly unavailable. The market value of broadcast rights for bilateral series not involving India, attenuating anyway, dwindled further. The market value of players… well, there suddenly was such a thing, because there was a market as there had not been hitherto. An elite player could earn more in six gaudy weeks of the IPL than in years of bilateral slog; a rump, from smaller nations and with fewer opportunities, would be excluded. CA, CSA, NZC, WICB and SLC had to deal with players in demand, the boards of Pakistan, Bangladesh and Zimbabwe with the opposite, the ECB with players not quite sure what they wanted except more moolah from somewhere. In the near term, the result was a scramble. Most visibly, a vogue emerged for domestic T20 leagues, even if none remotely approximated the IPL's booming brand value. Three such ventures had private backing: Allen Stanford's eponymous tournament in Antigua, which had the imprimatur of the WICB; Neil Maxwell and Rajiv Podar's Cricket Holdings LLC in the US, which was linked to NZC; and Subhash Chandra's Indian Cricket League, to which the BCCI remained implacably opposed (and which came before the IPL). CSA staged the IPL itself, when the second edition was displaced because of Indian general elections. With CA, CSA also buddied up with the BCCI in the lucrative squib of the Champions League, while the ECB rolled out the rival fiasco of the Stanford Super Series. A seldom-recalled backdrop to the last is that Stanford first tried his luck with the ICC. He wanted to restyle West Indies as the "Stanford Super Stars" for the purposes of a filthy rich winner-take-all T20 tournament in Antigua against various Full Members. The plan foundered officially over the ICC's reluctance to allow a national team to be "branded", unofficially over the Texan mogul's unpredictable humours. Stanford went on, of course, to a warmer welcome from Clarke, the unlikely star of Death of a Gentleman, in which he exudes the hauteur of Julian Fellowes and the half-endearing tactlessness of Prince Philip. The ICC having veered away from what Clarke swallowed whole adds an interesting layer to his public contempt for the council (which in the 2014 Wisden Almanack he disparaged as "a huge white elephant" and "a monument to profligacy"); likewise his belief, expressed in the film, that the ECB's brush with Stanford was no biggie because… well, because he says it's not and won't talk about it ("No, no, no, no… Next question"). Yet nor was it only the Full Members that the IPL destabilised; it had a similar impact on its owners. The BCCI's amour-propre expanded in line with its profits. Its internal politics grew more volatile, and private interests more powerful - none more so than those of its treasurer. Srinivasan is a successful businessman, whose family runs India's third-biggest cement company. He is also a highly effective cricket administrator, who first built a power base at the Tamil Nadu Cricket Association in the '90s bankrolling local clubs and talent: India Cements' payrolls have featured such names as Rahul Dravid, Dinesh Karthik, L Balaji, R Ashwin, VB Chandrasekhar, L Sivaramakrishnan and, most famously, MS Dhoni. It is a formula to which Srinivasan has stuck at the BCCI. The dividends disgorged to state associations; the pensions settled on ex-players; the emoluments showered on commentators: he has shown an acute awareness of money's coercive properties. Srinivasan's other knack has been for accumulating power. India Cements acquired control of the IPL's Chennai franchise in January 2008 in apparently direct contravention of rule 6.2.4 of the BCCI's constitution: "No administrator shall have, directly or indirectly, any commercial interest in the matches and events conducted by the board." What to do about his making decisions at the BCCI that might be to the benefit of Chennai Super Kings (CSK)? Nothing: nine months later, as Srinivasan sought election as secretary, the BCCI simply changed the rule by adding "excluding IPL". India Cements' influence was further entrenched by its bankrolling various BCCI officials, from the IPL's chief financial officer to the national team's chairman of selectors and logistics managers. Where he cannot control or at least cajole, Srinivasan is proportionally ruthless. At intervals in Death of a Gentleman, Sam and Jarrod stand before a blackboard crossing out those who have come off worse for encounters with him - it is far from complete. Srinivasan's most prestigious scalp, of course, is that of Modi, expelled from the BCCI on charges of malfeasance after the third season of the IPL. Modi is an enigmatic figure in Death of a Gentleman - garrulous, self-aggrandising, self-serving. But he is to Srinivasan as Stanford is to Clarke: the figure who is not to be mentioned. When Jarrod asks Srinivasan an entirely predictable question about Modi, cricket's boss of bosses falters. "I think the IPL has grown and is better," he says hesitatingly. "And, uh, there is, uh, no controversy now… I don't want to… I don't want to give the importance to Lalit Modi and talk about him." Guys, seriously. You're being interviewed about the administration of cricket. Giles, you're going to be asked about Stanford; Srini, you're going to be asked about Modi. "I'm just not talking about that" is not an answer. Sam and Jarrod give us the administrators as black hats - at times, it might be felt, a little cartoonishly. Yet strangely, watching the film a second and third time, what struck me more forcefully was just how unimpressive cricket's most powerful men are; windy Clarke and taciturn Srinivasan, inhabiting a world so insular and rarified that they are unused to straightforward, even obvious questions. This is it? These are really the men who reshaped the world of cricket? Because they did. Why? Everyone will have their own theory, but my own would be this: that in the wake of the IPL, the ICC executive board became completely unworkable, a forum of grievance, mistrust, self-protection and self-sabotage operating in an unstable world. Sometimes the dysfunction became public, such as when CA and NZC proposed former Australian prime minister John Howard to serve a term as president and the BCCI bulked inscrutably in their path. Otherwise it reflected in the queue of issues apparently impossible to resolve: the politics of Zimbabwe, the treadmill of the FTP, the intricacies of the Decision Review System, the structure of the World Test Championship, the number of participants in the World Cup and World T20. The directors knew it too, because in April 2011 they signed off on a new strategic plan, part of which involved a governance review committee commissioning an external analysis of the ICC's structure and protocols. The specific cause was disagreement about the order of presidential succession; the general backdrop was the ICC's ambiguous status, as more than simply a talking shop but somewhat less than a fully functioning governing body. The ICC's articles of association empowered it "to administer, develop, co-ordinate, regulate and promote cricket world-wide in co-operation with its Members". In practice, everyone knew that the Full Members were cooperative as and when it suited them. Under the ICC's Code of Ethics, directors were bound to not "promote their own (or a group of) Cricket Board's interests at the expense of the dignity, integrity or interests of the ICC or of the sport of cricket in general". In practice, everyone knew this was precisely what did happen, and that post-IPL it was worse than ever. Meeting no more than four times a year and subject to more or less constant turnover, the executive board had never been particularly cohesive anyway; in the atmosphere of footloose players, fickle fans, sprawling seasons and unexampled sums of money, temporary alliances and mutual conveniences probably looked, on many occasions, like the best that could be done. For example, Clarke swerving back from his moonstruck infatuation with Stanford to endear himself to the BCCI by melodramatically accusing its persona non grata Modi of planning "a new rebel league" that would "destroy world cricket's structure". And this was the well-off ECB; imagine the strain on the isolated PCB or disunited WICB. Inertia was also easy to justify, and welcomingly familiar. Yes, the executive board was big and unwieldy. But who should stand aside? Yes, the distribution system was crude and rigid, dating as it did from the days before serious money. But who would want to tamper with it and jeopardise their steady stream of dividends? And yes, the interests of directors were fundamentally conflicted. But had it not been ever thus? Some national boards had introduced leavenings of independent directors; others were discussing doing so; but into the day-to-day activities of most Full Members, conflict was deeply marbled. Nowhere was this truer than at the BCCI, composed of 30 brawling associations now ruled in the main by parish-pump politicians, hard-charging industrialists and other local grandees, all with ambitions to host games, reward allies, and build stadiums perpetuating themselves. Which makes it easy to understand why Srinivasan, who succeeded to the BCCI presidency in September 2011, was from the first a brooding sceptic about how "an English lawyer" could instruct him in governance: by his lights you adjust governance to fit your purposes not the other way around. All of which goes to say why the Woolf review, presented to the governance review committee in February 2012, stood little chance of adoption - and there were grounds for reservation. Woolf recommended a board composed of "an independent Chairman, four Directors representing the Full Members, two Directors representing the Associate Members, three Independent Directors, two Independent Directors representing the wider game, together with the President and Chief Executive in attendance": all very sophisticated but how to get there? Woolf recommended that ICC directors should relinquish "any executive or leadership role within their Member Board" and instead act wholly in "the interests of the game": all very high-minded but what exactly were these interests in such an uncertain period? Worse, by admitting he had "been unable to obtain a full picture of the current financial position of global cricket", Woolf's report was weak where it needed to be strong. It urged the replacement of the existing "revenue sharing mechanism predominantly for the benefit of existing Full Members" with one "whereby Full Members receive a fair share of revenues based on need": but what did this actually mean? An executive board that had seldom needed an excuse for siding with the devil you know was thereby presented with one anyway. So, despite favourable responses from onlookers, it languished; CEO Haroon Lorgat, identified with the initiative, departed; and the cause of governance reform at the ICC would take a very different trajectory. "He is either here - or here," a former colleague told a profile writer of Srinivasan last year, moving his hands between throat and feet. 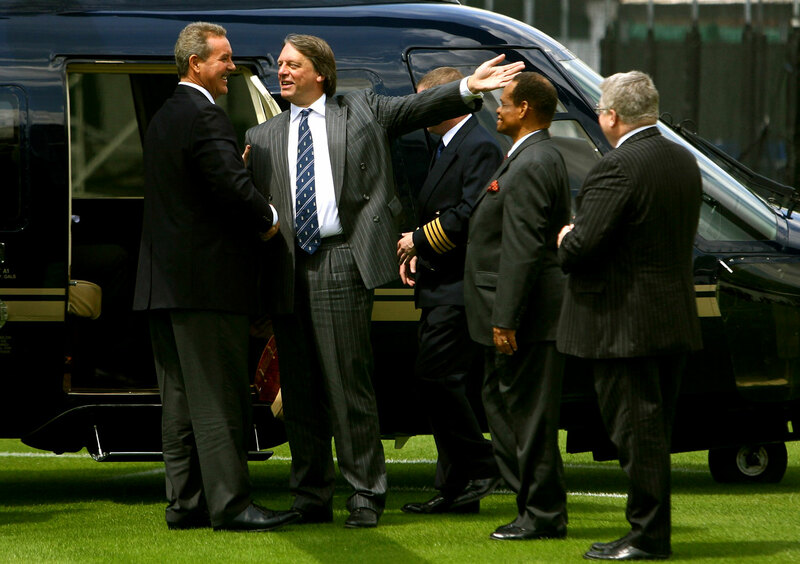 Yet Srinivasan is also capable of productive alliances, and he struck one with Wally Edwards. On becoming chairman of CA and joining the ICC executive board in November 2011, Edwards was shocked at its inertia and poverty of debate. He made a point of getting to know Srinivasan, with whom he shared a background in engineering and in family-run enterprises: Edwards has run a privately owned Perth-based irrigation business for 25 years. In his own country, Edwards was simultaneously pushing efforts to overhaul CA's board, following on a report by governance experts recommending the introduction of independent directors. He did not see the Woolf Review in the same light, for the historic reason of the ICC's looser weave, and the practical reason that the BCCI would never accept it. But something would have to give: IDI was preparing to sell the ICC's next cycle of commercial rights, covering two World Cups, two Champions Trophies and two World T20s, advised by what was called the Finance and Commercial Affairs committee, chaired by Clarke. It seems curious and completely to be expected that the plan for the overhaul of the ICC should have originated not from a committee concerned with governance but from the committee concerned with money. 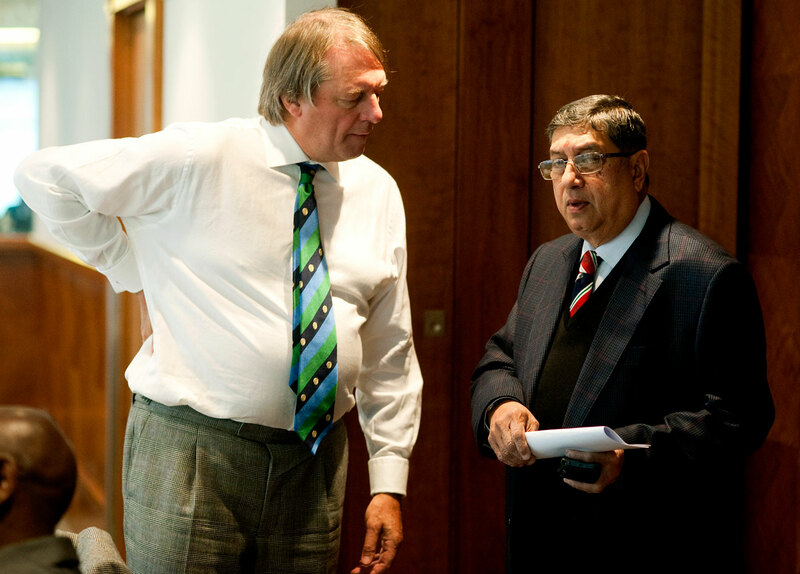 Unlike Woolf's outsiders, insiders Srinivasan, Clarke and Edwards grasped that the ICC is shaped by who gets how much. And so, in a blending of dogmatism, opportunism and pragmatism, the "Big Three" takeover was hatched. "He is either here - or here," a former colleague told a profile writer of Srinivasan last year, moving his hands between throat and feet. In a sense, it had already been occurring by degrees. To maximise their commercial value all the events in the forthcoming rights cycle - the World Cups of 2019 and 2023, the World T20s of 2016 and 2020, and the then-projected World Test Championships of 2017 and 2021 - were to be hosted by India, England or Australia. In doing so, of course, the three countries also conferred growingly important home-ground advantage on themselves. The calendar was also being shaped by Indian tastes and strengths. After India won what had been foreshadowed as the last Champions Trophy in June 2013, the tournament's virtues were rediscovered. While there was a fair chance India would not scrape into a four-team World Test Championship, an eight-team Champions Trophy was more predictable and thus more valuable. It was soon clear that cricket had not seen the last of the Champions Trophy and would never see the first of a World Test Championship. Above all, with India's public substantially the biggest component of the worldwide viewing audience, the BCCI was free to position itself to demand over and above the equal portion of the ICC's revenues hitherto always allocated to Full Members. There is an intriguing conversation that cricket has never had about whose money is actually whose. It has become common practice to say that 60-80% of cricket's revenue comes "from India". But does that make it India's money, or cricket's? After all, the money is earned by playing other teams in a global system. And if Indians didn't watch the Indian cricket team, they would still watch cricket. Sure, if there was no India, the cricket world would be far smaller. But if there was no cricket world, India would also be greatly diminished. Does the BCCI own, control or represent Indian television viewers? If they do, should Indian television viewers be entitled to a say in what the BCCI does in their name? Doesn't even the turbo-capitalist IPL have mechanisms for equalisation, of television revenues and salaries? In any event, the conversation was never had. What mattered was that the BCCI board resolved not to sign the Members' Participation Agreements to the Champions Trophies and World T20s unless it was rewarded with at least a quarter of the anticipated media rights and sponsorship sale price, projected then at $3 billion. The result of the impasse was the formation of a working group consisting of Srinivasan, Clarke and Edwards, with the IPL's chief operating officer Sundar Raman and CA's legal business affairs manager Dean Kino doing the legwork in terms of modelling and negotiating with other members. Let's be cynical a moment: after all, everyone else is. For Srinivasan and Sundar Raman, this was also a personally useful campaign. Both were enmeshed in a lurid scandal enveloping the IPL, accused of turning blind eyes to illegal betting by Srinivasan's son-in-law Gurunath Meiyappan at CSK, and also Raj Kundra at Rajasthan Royals. 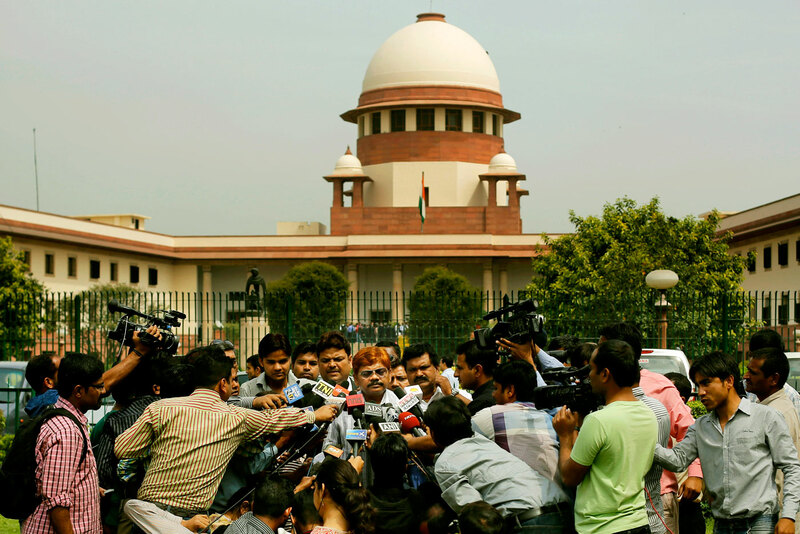 As an inquiry commissioned by India's Supreme Court roiled through the second half of 2013, Srinivasan hung in, stood down, came back, fought on, incanting that however it looked he had done no wrong. And one suspects he could see his way through for a simple reason: he was about to wring from the ICC more money for the BCCI. It had always worked before. The others? Well, needs must when the devil drives. The question was how to put a pleasing technocratic gloss on the exercise. To this end, the group devised a mechanism called "contribution costs" - a kind of appearance fee at ICC events recognising each member's contribution to "generating the ICC revenues required to sustain the game" and "to the ICC in terms of history and how the member has performed on the field over the past 20 years". In fact, to render respectable what was basically worked back from a preordained answer, four matrices were used, the most heavily weighted of which was regional media rights value - the BCCI's greatest statistical advantage over other members. 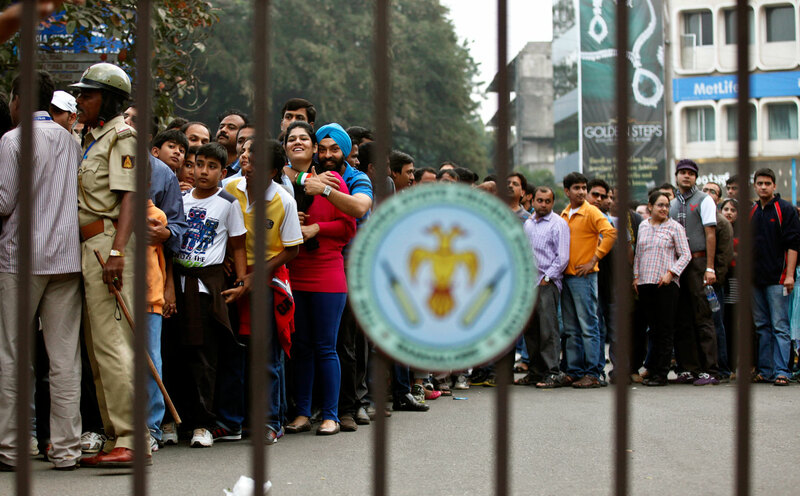 It has become common practice to say that 60-80% of cricket's revenue comes "from India". But does that make it India's money, or cricket's? No further details were provided. "The calculations for this have been worked on and negotiated by the BCCI, CA and the ECB to ensure the continued participation of Members to ensure the successful sale of ICC media and sponsorship rights," said the group. "The agreed principles are sound and the breakup between categories appropriate." And… errr… that's it. Once "contribution costs" were factored in, the revenues for all were differentially split: about $640 million over eight years to the BCCI, about $180 million to the ECB, $130 million to CA, and between $68 million and $105 million for each of the remaining seven Full Members (representing anything from $50 to $100 million less than they would have received under the old equitable model). Worst of all, the model was entrenched for almost two decades no matter what changes occurred in the relative strengths of the various television markets, and regardless of performances in ICC events. Despite this, the Big Three had recourse to the fancy word "meritocracy", one of the more flagrant abuses of that well-worn term, always used by someone about to create a hierarchy positioning themselves at the top. Having consolidated the money, Srinivasan, Clarke and Edwards next set to aggregating the power. 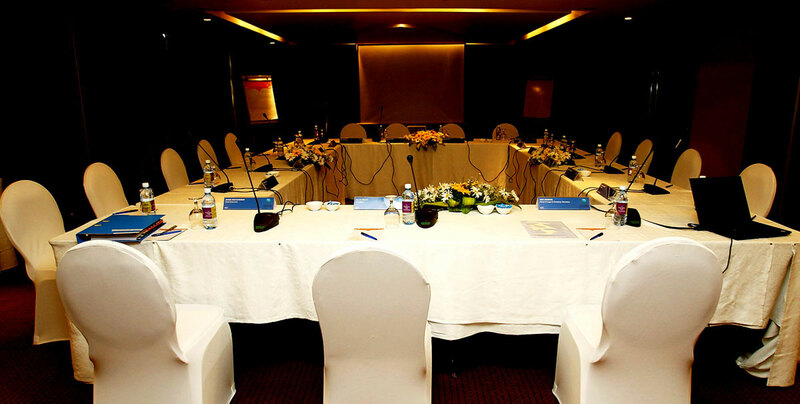 The executive board, they decided, should henceforward be "advised" by an executive committee seating a representative of the BCCI, ECB, CA and one other Full Member, which was to be "the sole recommendation committee… on all constitutional, personnel integrity, ethics, development and nomination matters". On paper, ExCo, chaired by Edwards, could only recommend; in all probability, none but the foolhardy would demur, for fear of jeopardising one of those all-important tours by India. To further keep Full Members on their mettle, Srinivasan was to take on the new title of Chairman of the Executive Board, while the role of president was reduced to a ceremonial position. Otherwise, nobody at the newly "member-driven" ICC was to be bound by much. Most particularly, the ICC was no longer to regulate the FTP, which the BCCI had tolerated under increasing sufferance. Instead, tours were to revert to bilateral "FTP Agreements", unspecified as to detail, standards and enforceability. This was not so much because certain teams were uncompetitive; with seven teams over the past six years having won world titles or sat atop the Test rankings, you could argue that competition had never been more even. Rather it was because some series were financially "unviable": "No member should be forced to host uneconomic tours… It is up to the Full Member to enter into as many or as few FTP Agreements as they wish." In theory, nothing much prevented England, India and Australia playing only among themselves. In practice, they already seemed to have started along that path. There was more packed into the working group's draft "Position Paper" - a great deal more considering its mere 21 pages. Yet we would barely have the foregoing detail had not a copy been leaked to ESPNcricinfo when it was presented to the executive board in January 2014. Even now, this document is more or less all that exists to explain the ICC's new structure. Despite being ignored, the Woolf Review was at least a public document; this paper circulated among interested outsiders only in a leaked form loudly stamped "Private and Confidential not for Third Party Circulation or Dissemination", despite being probably the most significant document in the annals of cricket's global governance. Because over the month after its tabling, the reality dawned that it was basically a fait accompli from which only paltry concessions could be extracted - an additional seat on the ExCo here, a little extra funding in the form of a "Test Match Fund" there. The Full Members dispersed, returning to their domestic travails: CSA to finances rendered parlous by an arbitrary shortening of the previous season's tour by India; ZC to finances left threadbare by decades of unaccountability to anyone; the WICB to intransigent players who eventually walked off a tour of India; SLC to the appointment of yet another interim committee by Sri Lanka's government; the PCB to a Supreme Court fight over its chairmanship. Sigh: if only they could be more meritocratic, that would fix everything. The Associate and Affiliate membership melted away. They, of course, had never been heard in the first place. And so over the last 18 months, the Big Three ascendancy has been embedded. ExCo must be a frank and free-thinking forum, containing alongside Srinivasan someone desperate not to get sued by the BCCI (the WICB's Dave Cameron), and someone desperate for the BCCI to send a touring team this December (the PCB's Shaharyar Khan). The various documents of foundation have been altered to bless it all, sometimes giving a sense of the hurry involved. Under the ICC's amended Articles of Association, for instance, the ICC president, although now no more than a ribbon-cutter, continues to operate within strict guidelines: "During the term of his office, the President shall not hold any office under, or perform any executive or operational duties for, any Cricket Authority." The ICC chairman, although clearly a powerful role, is not circumscribed at all: "During the term of his office, the Chairman may hold any office under, or perform any executive or operational duties for, any Cricket Authority." Eh? That's Srinivasan governance, where the system falls in line with the man - as easy as using a cut-and-paste function, deleting the "not". Where the old Code of Ethics once bound directors to "at all times serve the interests of the ICC and the sport of cricket as a whole", the new code specifically protects the conflict inherent in their roles: "For the purposes of the Code of Ethics, any actual, apparent or potential conflict of interest arising as a result of a Director of the ICC Board… representing the interests of his or her Member Board, local organizing committees or companies established to assist the delivery of ICC events, shall not amount to a violation of this Code of Ethics and shall not require any formal approval [my italics]." In other words, you might think this is a conflict of interest, but we've decided that it is not. Feel like complaining? Sorry, complaints under the new code can only be made by ICC officials: "For the avoidance of doubt, Reports can only be lodged by an Official, and third parties not themselves bound by the Code of Ethics do not have standing to lodge a Report under this Code of Ethics." For "avoidance of doubt" read avoidance of nuisances like FICA, which flirted with a complaint when Tim May was booted off the ICC's cricket committee two years ago, and the Cricket Association of Bihar (CAB), Modi's stalking horse. The latter, however, had already made its presence felt, by ensuring that at the time of his enthronement as ICC chairman, Srinivasan was not also president of the BCCI and principal of CSK: CAB had set rolling the Supreme Court of India, which insisted in February that Srinivasan's second and third roles were incompatible. His decision for the long term to sacrifice CSK required his standing down in medium term at the BCCI, his role passing to, of all people, the old warhorse Dalmiya - rather a shadow of his former self by then but still a name around whom to rally. In a development post-dating Death of a Gentleman, members of the BCCI have spent the last little while endearing themselves to a new strongman, Anurag Thakur, scion of a BJP dynasty from Himachal Pradesh. (Dalmiya died in September, leaving the presidency of the BCCI vacant at the time of this writing.) Srinivasan continues at the ICC with his consent. So. Many. Ironies. By engineering the ICC's scaling down, Srinivasan effectively diminished his own power: he must now do the BCCI's bidding. "Even if you look at the ICC today… many have said that I have joined hands with Mr Srinivasan," said Thakur recently. "It's not about joining hands or getting into a friendship. It's my responsibility as the secretary of the BCCI to convey to Mr Srinivasan what the interest of the BCCI is so that he toes this line." How will Srinivasan cope with that, do you think? Feet or throat? Ultimately, Death of a Gentleman is a movie, not a manifesto, and it struggles to articulate of what it is in favour. A World Test Championship? T20 at the Olympics? The spirit of cricket on the village green? The weakest parts of the film concern the heavy-handed scrabbling for an ethos or a creed of cricket, which fall back on dated clichés about gentlemanly conduct. We can cope with a few of the trappings of modernity, can't we? Men in suits run cricket. They always have. They aren't very good but they've never been great. And the ICC as it was - maladroit, moribund, phonily democratic, about Full Members looking after themselves, protecting them from the consequences of their own inadequacies - scarcely deserved to survive. A mordant argument would be that the takeover simply formalised and stabilised what had long pertained: that at the ICC, the BCCI exercised economic veto, with the tacit approval of CA and the ECB. That struggle of the film-makers, however, hints at a deeper malaise. What exactly are we protecting? Time was when administrators paid this at least lip service. They talked about the primacy of Test cricket. They respected continuity of rivalries. They agreed on the responsibilities of the well-off to play regularly against, and thereby to encourage, the less well-off. They expressed a belief in taking the game to new frontiers - that vision was the brainchild of the recently deceased president of the BCCI. After the executive board signed off on it in July, I asked the ICC for a copy of its new strategic plan. Integrity: Protecting the integrity of the game. Major events: Delivering successful major events and building their value. 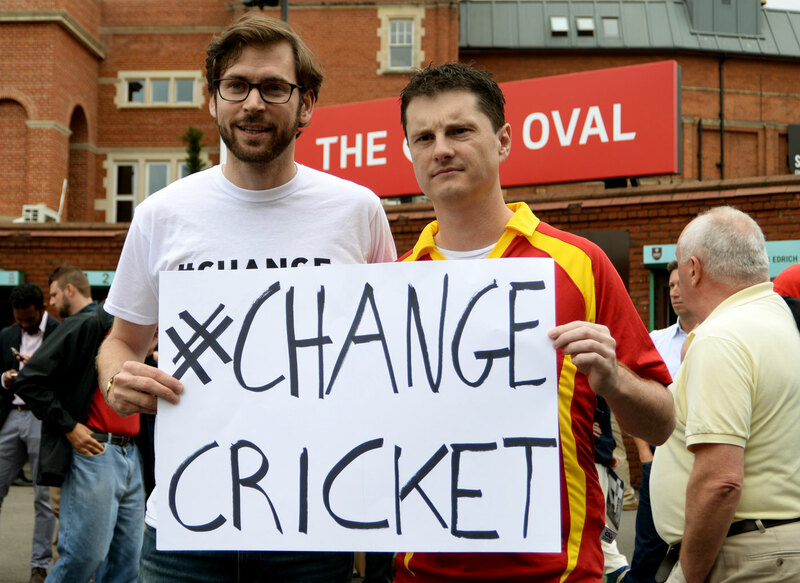 Seriously, who speaks for cricket now? What do they want it to be? Something, you sense, like the IPL. Everyone just needs to be "incentivised"
Not that I was expecting the Gettysburg address, but y'know - this is it? Seriously, who speaks for cricket now? What do they want it to be? Something, you sense, like the IPL, at least if you read the tin-eared libertarian dogma of the "Position Paper" and its critique of the existing ICC. Everyone just needs to be "incentivised"; everyone just needs to be "independent and financially strong"; everyone just needs to be "self-sufficient with sustainable investment and growth in their domestic markets", as if that's possible, or even desirable, given that a sense of interdependence and reciprocity give international cricket such shape as it has. The rhetoric is that banal. "In that context," the paper continues, "over the past decade or so, the ICC has lost touch with the issues Members face in sustaining the growth of cricket in their markets." Really? Who was on the executive board all that time? Did the Full Members lose touch with themselves? And yet, curiously, you will scan the "Position Paper" in vain for any mention of these "issues", because that might require acknowledgement that they are externalities that all the incentives and meritocracy in the world cannot and will not fix - such as, say, the impacts of IPL on player payments, on schedules, and on broadcast and sponsorship rights. Or little things like geography and demography, size of GDP and strength of corporate sector. On the contrary, the underlying assumption is that every country is equally able to help themselves, has equal access to resources, equal opportunity to expand. It sounds like the it's-your-fault-you're-poor-just-pull-yourself-up-by-your-bootstraps rhetoric beloved of self-made millionaires - which maybe isn't surprising, considering that this is the handiwork of self-made millionaires. Gone is any sense of a common weal; in this game, you look after yourself because nobody else will. Gone is any sense of the sake of cricket; nothing for which there is no business case is obligatory. Gone is any notion of "the importance of treating every ICC member in an equal manner" and the idea that "heavyweights like India and Australia must be measured with the same yardstick as the less important countries like Zimbabwe and Pakistan." (I'm here quoting ExCo member Shaharyar Khan just two years ago in his memoir Cricket Cauldron. He must have forgotten. He is 82). Instead the Big Three rely on Korn's other expedient in Catch-22: "You know that might be the answer - to act boastfully about something we ought to be ashamed of. That's a trick that never seems to fail." Lalit Modi and Co. are turning the game's power structure on its head. But how far is too far?